When the owners bought it, the exterior was green and brown, but Wendy Durnwald had always wanted a white farmhouse. 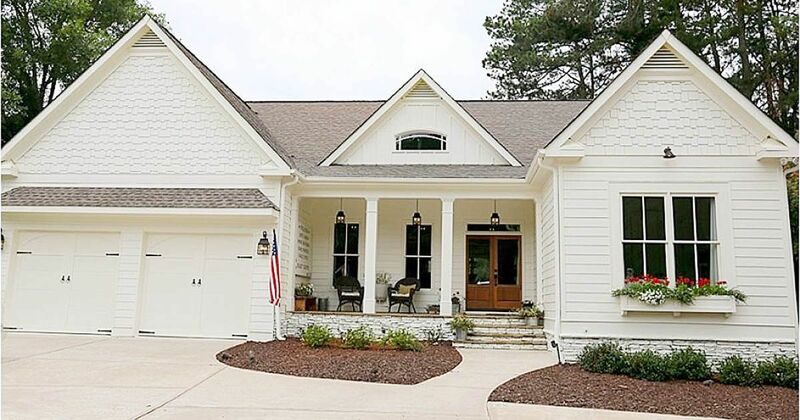 After extensive work, the exterior—as well as most of the interior—is a cheerful white, with red accents. 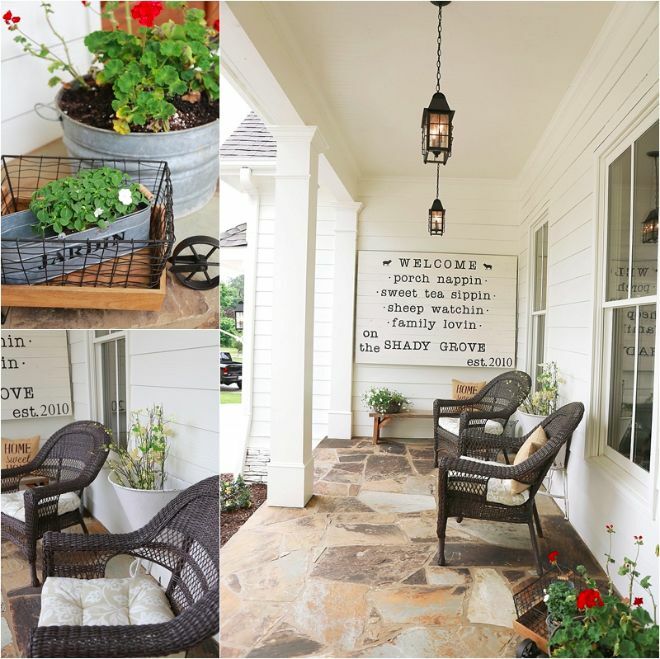 Durnwald used the home's old shutters that were removed to create the charming sign that hangs by the front porch. Inside, the living space is mostly open, so the owners kept the color scheme consistent throughout. 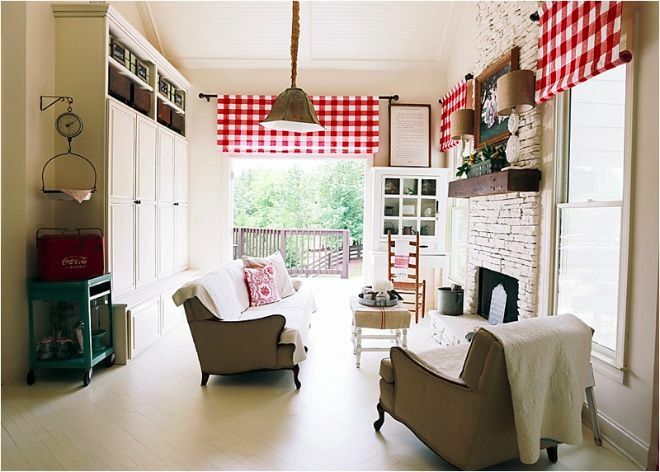 Red gingham curtains add a fun "pop," while a few coats of white paint hid damage on the old wood floors. 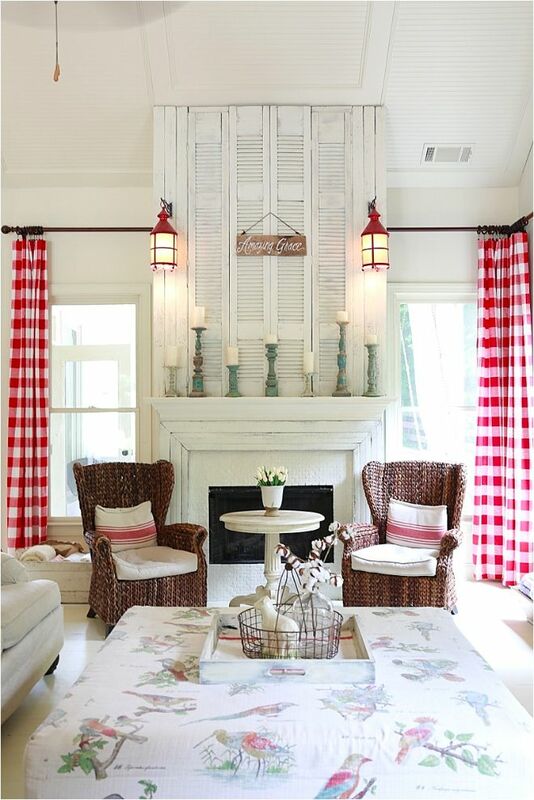 After finding some old shutters while antique shopping, the owners realized they fit perfectly above the family room fireplace. Durnwald calls the fireplace "one of our most 'accidentally' successful DIY projects" on her blog. 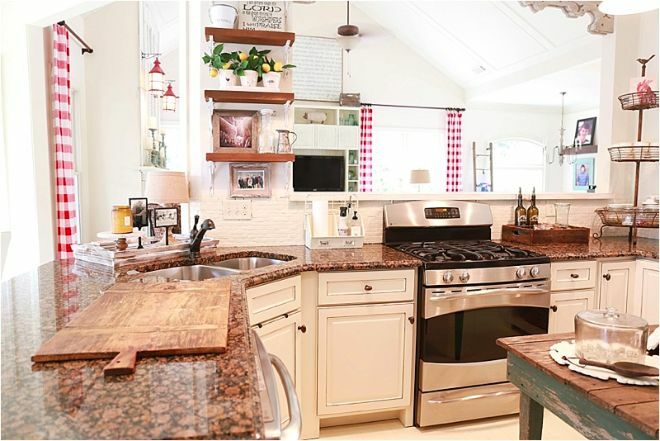 When the owners moved in, the kitchen had brown cabinets and brown granite—not the best combination for a family who loved bright, white decor. So they painted the cabinets and the backsplash. 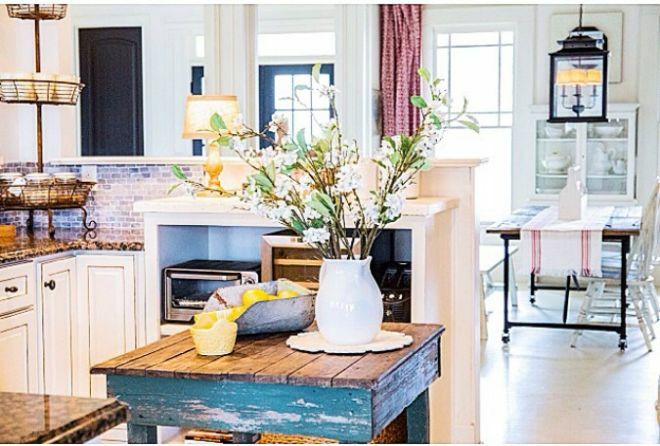 An antique farmhouse table works as an island to provide more counter space. A multipurpose room sits right off the kitchen. The family added a built-in pantry and spray-painted the formerly orange fireplace stone to match the walls. "Paint is the cheapest and biggest 'bang for your buck,' the wife says. 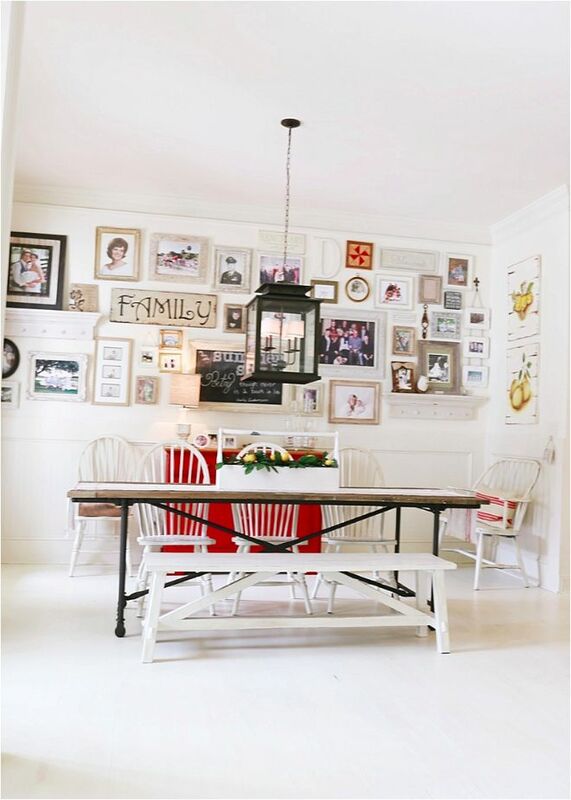 The casual dining room reflects the family's busy life with five kids and five dogs. A low-hanging chandelier adds contrast to the mostly white room. The master bedroom reflects the color theme from the rest of the house. Even though it isn't a large room, the owners created a little corner to watch television away from the kids.